The sister release to 2009's “Fourth, Part One” (EQM026) sees DELEYAMAN incorporate a second full-time guitarist into their line-up. 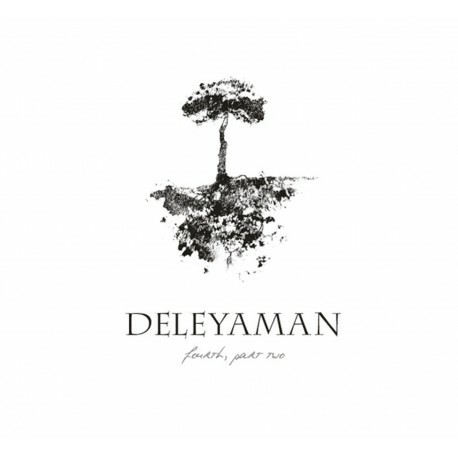 A new member who brings also a new dimension to this peculiar band, by adding and expanding on the elements of Post-Rock / Shoegaze which DELEYAMAN had already hinted at on previous recordings. 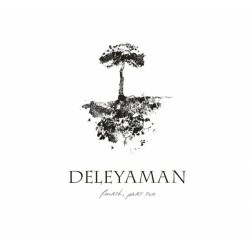 DELEYAMAN's singular style, which blends Darkwave and Alternative Folk into one, collects and re-invents elements of different genres into an artistic vision which feeds as much from literature as it does from ethnic-tinged experimentation and ethereal music. “Fourth, Part One” portrays DELEYAMAN as introspective as ever, with the use of poetry (which on this recording comes from the works of Edna St-Vincent Millay, Karl Shapiro, Ralph W. Emerson or Sydney Lanier, among others) taking on a prominent role, as the voices of Beatrice and Aret weave closely into the music to provide each word with its appropriate setting and mood. Presented in Digipak format, with a 20-page booklet.